At Professional Restoration Services we are here to provide you disaster restoration services following any man-made or natural emergency including but not limited to water damage, fire damage, mold removal and storm/tree damage. We are licensed and insured residential and commercial general contractors with over 25 years of disaster restoration services experience. We provide 24 hour, seven days a week service with our team of on call certified technicians. Professional Restoration Services arrives on site, evaluates damage and give you scope of work. Property owner signs work agreement and Professional Restoration Services begins mitigation cleanup. Call your insurance agent, file a claim and tell your insurance agent Professional Restoration Services has evaluated the damage and begun work. Professional Restoration Services is a disaster restoration services IICRC Certified firm. The revival of affected homes or businesses usually presents an insurmountable challenge to do-it-yourselfers who may initially resolve to tackle the project on their own. There are also possible health and safety hazards. 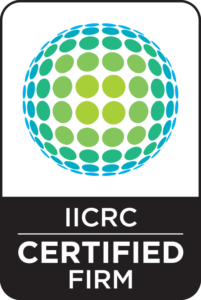 Ideally certified firm by the Institute of Inspection, Cleaning and Restoration Certification (IICRC) is needed to ensure the professional result of a post-disaster restoration restoration services cleanup project in a commercial or residential setting.